The second form of mind control on the Liza Vassallo list is "World View Poisoning: Conditioning the way people view human nature and their own self-value. Here is where the false science of psychology thrusts its ugly head. How many times have we heard the old adage that bad parenting or living in rough neighborhoods as children affect our lives, often making us less than the person we might have been? 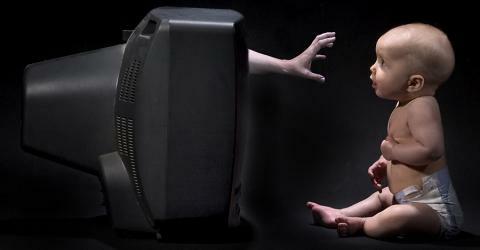 The television psychology programs like Doctor Phil, Nancy Grace and others are among the most popular. But many other television shows like Oprah Winfrey, The View and Judge Judy offer subtle touches of human psychology focusing on human behavior. A few hours of watching "Cops" will give any viewer a sense that all of humanity is nothing more than a drug addicted, drunken mass of human flesh that has to be dealt with harshly by the law. Our "news channel" talking heads feed constant poison into the minds of watchers. We are warned about the Islamic terrorists among us. We hear how the white Republicans refuse to work with America’s first black (Democratic) president. Is it because they oppose his social programs or is it because his skin is black? Few are saying it but we all know the problem is race related. We have our military busy fighting the Islamic people in Afghanistan and Syria. We have reporters telling us about the evils of the ISIS Islamic fighting in other parts of the world. There is a distrust of the Chinese, the socialist nations of Central America and all people of "color" living among us. Are not these all conditioned responses stirred by what we are fed by the media? It should not be surprising that professional researchers, trained in the field of psychology, study how people interact with the media. They use this information to determine how the media affects us and how the media can be effectively used to control how we perceive the world around us. The primary purpose of this kind of study is to stimulate us to spend money buying certain products. But is also influences the way we vote and how we support political decisions, including going to war. This filtering of news and information also has crept silently and nearly unnoticed into the Internet. Google, Yahoo and other popular search engines, Amazon, Facebook and other popular sites are all keeping tabs on what we watch, what we buy and the sites we visit. Notice that once you do an on-line search for a particular product that your computer screen suddenly begins to advertise this product on the edge of your screen. Eli Pariser, executive director of MoveOn.org and author of The Filter Bubble, reports that nearly every site we visit on line and every Google search we make is filtered, based upon information electronically collected that determines our personal interests. While the filtering may seem helpful, since there are literally thousands of sites to choose from when researching a particular subject, Pariser warns that "there are dangerous, unintended consequences to filtering." He states that he believes the filtering is secretly isolating us by showing us only what we "like" and cutting us off from diverse points of view. Is this not a subtle form of brainwashing? A recent Newsweek story pointed to mounting evidence that intense internet usage contributes to increased anxiety and depression and even psychosis. As with television programming, certain websites depicting lifestyles, home decor and clothing styles creates images of an ideal life that most people can never achieve. We find bombardments of aspirational messages nearly everywhere we search for personal entertainment or information. It is often subtle, but always there. The concern is that this is having a negative effect on our psyche.